When explaining a big gap on your resume – be honest and succinct. A big gap of several months to a year on your resume signals a red flag for companies that are considering hiring you. People always have a good reason for taking a break from work. Often it’s a personal issue that’s difficult to discuss. Million dollar question — how to remove the big question mark from a recruiter’s mind and explain the gap in a way that keeps you in the running for the job? Short answer — explain the gap in one or two lines on your resume in the space where the gap occurs. If none of the common explanations apply, then an absence of five months or longer is a red flag that you may be an unreliable employee. Whatever the reason for a gap on your resume, it’s best to offer a short explanation in the resume itself. If you needed the break for a difficult personal reason, keep your explanation brief and professional. If you’re nervous about how to explain the gap, remember that this is a great opportunity to build trust with your potential employer. The Tell Me About Yourself Checklist helps you get into a positive frame of mind so you’ll be ready for tough questions about your work history. It really helps if you make sure that you are in a positive frame of mind. See: Mind hacks to calm your thoughts and feel more confident, even if you’re feeling nervous. If you or someone in your family were critically ill, or you lost a loved one — Don’t into great detail about these reasons. A sentence on your resume about what happened is long enough. Generally, employers are very understanding of this type of gap. If you were starting a family or adopting a child — A sentence on your resume explaining a pregnancy or adoption is enough explanation. Employers are understanding of this type of gap as well. If you experienced a mental illness like depression — You’re not required to disclose a mental health issue (or any disability) unless it will interfere with your ability to carry out the functions of the job that you’re applying for. MentalHealthWorks.ca explains what to say during a job interview. If you did volunteer work during your time off — Volunteer work is real work experience that will impress many employers. It is a great source to get professional references for your work and it might even lead to a full-time paid position. You might want to reach out and network with people familiar with the organization you volunteered with that would appreciate your experience and maybe know of related jobs. If you worked a job that is unrelated to your actual field — You might have a gap on your resume because you left out a job you didn’t think was relevant to your field. Include it on your resume with a brief explanation. Internships are real job experience — Maybe you took a job as an intern because it was the only job you could get at the time. Being an intern is definitely resume worthy. So don’t leave it off your resume, even if it seems like unimportant work. An internship shows that you are willing to work hard even without pay. Explain how you keep your skills fresh — point out positive things you did during the gap to improve your skills such as learning a programming language or online training courses you participated in. Above all, be honest about you career experience and never lie about dates. Provide solid references that can speak to the work experience you do have, and let it be. Warning: Never share overly personal information on your resume or in an interview. Always keep the focus on the positive aspects of your work history. Are there any other ways to deal with a big gap on your resume that I haven’t touched upon? Please share your advice in the Post a Reply section below. I worked in India for three years in financial service sector I have done my MBA degree but last year I got married and had to shift in Malaysia I thought I will get job here which is why I left my job in India but here It is been 8 to 9 months I did not get any job because of being foreigner now I got an interview schedule in Singapore.Please help me what to explain in interview about my this gap. It’s great that you have an interview and that you’re planning your answer now. If they don’t ask you about the gap, just let it go. If they do then one sentence will do. “I couldn’t find a job in Malaysia because it seems to be a tough job market for foreigners.” Make sure to smile and stay positive. It’s great that you’re currently employed and you’ve been invited to do three interviews. They invited you for an interview because they believed that you have the skills to do the job. Now they want to find out if you are the kind of person who will fit in well with their team. Your education history is a red flag that you may be unreliable. If you speak negatively about you education experiences, you may come across as a negative person. Tell them what you learned that’s making you more successful in your current job. Bring the discussion back to your current job and how you’ve proven that you have what it takes to do a great job for this new employer. Research the company and talk about what you will do to make them more successful. I was working as a production engineer where I was promoted two times in my three years there, from production engineer trainee to asst.production engineer and finally to production engineer. But I was forced to resign to get my father proper treatment as he was diagnosed with liver cirrhosis stage 3. Now I have 1 year gap in my field of experience though I had worked for six months in between in my home town itself in entirely different field just to support my family. Now I want to get a job in my same field but although registered in most of the job sites I am not getting a call. I am afraid my resume prepared will be of low quality. Can you please help me to prepare the resume by including my gap in experience. I’m really sorry to hear about your father’s illness. Most employers understand that you must take time to care for a sick family member. The problem is that recruiters scan your resume and they miss your most relevant experience. They’re confused by the gap when you were caring for you father. As an up-and-coming production engineer, I was promoted twice in my first three years from production engineer trainee to assistant production engineer to production engineer. When my father was diagnosed with a grave illness, I took six months off to care for him, then I worked in as a __________ to support my family. Now I’m excited to get back into the production engineering field. Describe any education or training you have that’s relevant to production engineering. List any relevant work or training you’ve done to keep your skills fresh and relevant during the 1-year gap. If you have any awards from school or work, put them here. in June 2014 my father started a new small business and at that time my father need support. so, during this 1year and 2 month i was in my fathers business. please guide me how can i explain this gap to interviewer. You can be proud that you helped your father with his business. This might be a perfect thing to talk about in a job interview. How did you use your MBA knowledge to assist your father’s business. What did you learn from your father’s business that will help you in your next job? Your dedication, commitment and trustworthiness will come shining through. Once you have the interview, people don’t really hire you for your competence. They hire you because they like you and you’re the kind of person they want to work with. You have the perfect opportunity to prove to them that you are a wonderful person to work with PLUS you have all of the knowledge and expertise they need. They will be lucky to hire you with this real world experience that you’ve added to your MBA knowledge. What if I am a senior citizen. I have not worked due to osteoarthritis pain for the last 10 years. I have tried different ways of making the pain go away and found the alkalizing my body helps and got rid of 50% of my pain. I want to work part time. I just want to find a way of doing that. Thank you for this excellent question. I’m sorry that you’ve struggled with pain for ten years! I’m so happy the you found a way to decrease your pain by 50%. The most important thing when you’re trying to convince someone to hire you is to let your bright and beautiful personality shine through. Do not mention the pain unless it with interfere with your ability to do the job. What Should I Say at a Job Interview to get more ideas about how to talk about your pain. Best of luck with finding a part time job that you love! I worked in retail/demand planning for over 20 years until 2009 when the company I was working for went out of business. Due to tough economic conditions during that period, I was lucky to land a job in of the departments of the City of New York in an accounting role (unrelated to my experience). Now with the job market showing some life I am trying to seek job in retail/demand planning again. But one roadblock I am facing is that there has been a gap of 6 years in retail/demand planning and my 20+ years experience is considered dated. WOuld like to seek your advise and guidance how to respond to that and also to overcome that. Thanks. It’s fantastic that you landed and accepted that accounting job with the City of NY. That says so much about your resilience and realistic attitude during tough times. Now that you’re interested in returning to a retail/demand planning role, make sure that you’re up-to-date with the trends in your field. You want to re-establish some of your relationships in that field. At this stage in your career, you want to present yourself as a thought leader. You want to emphasize how your accounting role with the City has enhanced and strengthened your value. So the accounting job wasn’t really a gap, it was a segway on your way to becoming an even stronger leader in retail/demand planning. You’re in a very strong place to launch the next phase of your career. As you immerse yourself in the latest and greatest developments that are happen right now, you have a strong chance of attracting your next opportunity. 5 years a go I graduated from university where I studied computer science. Since then I haven’t worked at all. Since I graduated I wanted to take some time off. Through out this time, I have been working on physical training, and started reading books. All this, whilst doesn’t say anything in terms of career, have given me a lot in my personal life (some say that employers will value this – my ability to identify something I lacked and tried to improve (but I’m not convinced whether this is true or simply their way of telling me not to worry)). Mean while my passion for the subject didn’t vanish. I kept my skills up, can definitely talk about the latest technologies that employers offering junior positions want to hear. I also have a portfolio of projects I created for learning purposes. Since the day I graduated I had a mind set that I don’t want to have kids, hence I have plenty of time to work on myself and then plenty of time to work on my career. As such, I am willing to start as if I graduated today, that is, to work as an intern, small pay or/and volunteer (I should have started volunteering all this time, but ..). How do you think I should handle this? Some say to leave out the year of degree completion. But I don’t know how to take this advice. Others say that I should say what I just wrote here, but with a business mindset mentality, to sound like “I took it upon myself to invest on me, so that I can confidently help you succeed now”. What do you think, how can I recover from this? Great question! It’s great that you kept your skills up-to-date, worked on building a portfolio of your work and thereby improved your confidence! You invested a great deal of time and effort into improving yourself. Way to go! Please visit the post What should I say at a job interview to get some ideas about what to say. One strategy is to show people what you’ve been doing in an online portfolio. Use your computer science skills to build yourself an online portfolio to prove to employers that your skills are up-to-date and to show off some of your work. Work on your Linkedin profile. Get involved with some Linkedin groups that share your interests. Post answers to questions people are asking. Try to get some work experience a volunteer or by offering your services remotely. See The 25 Best Sites for Finding Remote Work. Try to keep using and updating your skills while you put yourself out there to help people solve technical problems online. Eventually someone will notice your helpfulness and your skills and they will want to work with you. Thanks for your advice. It’s helpful! i have 2 years extra gap between 10th and 12th class due to very severe financial problems and again 1 year gap between 12th and btech to prepare for iit entrance…i am in a average college in 4 th year Persuing btech…can i be placed in mnc’s?????? I’m sorry that you’ve experienced severe financial problems. What’s amazing is that you’ve persisted in spite of these problems, and you’re still working towards your goals! You’re not average, you’re amazing. Focus on the best qualities in yourself, your strengths. Even if your grades are average, don’t call yourself average. When people hire you, they want to hire a strong person that they can trust to job the job and that they will enjoy working with. Someone who’s friendly and positive. So whatever you’re life situation is, you can only create a better situation by talking about the things that are going well in your life. Talk about the things that you’re good at. Right now you think of yourself as struggling student. But you could also think of yourself as a heroic student who gets up every morning and keeps moving step-by-step toward your goal. Everyday you improve yourself a little. Every day you get a little closer to creating the career you want. Everyday you keep your eyes open for opportunities to make your life a little better. i have completed my MBA in HR and MARKETING in 2013 but due to family issues and i was suffering from depression as well, i was not able to take up any job. now that i have recovered from depression fully, i am applying for jobs but not getting how to explain the 2 YEARS gap in my career. moreover i have not done any certification courses in these 2 years. please help me with some good answers so that i can explain the same to the employer at the time of interview. It’s wonderful that you’ve recovered from your illness! Thank you for asking this important question! Depression is a private issue that you do not have to disclose during a job interview. Mental Health Works explains how you can explain your gap in this post: What should I say at a job interview? It was really very helpful. Please accept my sincere thanks. Good work, keep it up! It’s natural that you we’re unwilling to continue with an impossible workload and schedule. Tell them that you left the job to continue your studies. You must stay positive when talking about your work history. Because companies are afraid to hire someone who complains about a former employer. Talk about what you learned from your last job. Maybe you’ve learned how to prioritize your assignments and how to communicate with your employer to make sure that your priorities are in line with their goals. Tell potential new employers about the solutions you learned and how this will benefit them in your next job. You are continuously improving. Try to focus on that. Hi, I am from India. I completed my MCA in 2012, in some financial problem i did not get any job in my course.I need to get a job in Software Industry or MBA sector.How to cover this 3 years gap in my career. Tell me the solution for this. I can learn any type of IT related courses in youtube. Please tell me the any other possibilities to me. My frieds and some people says ‘you dot have the money!’ so you can’t get any job for this gap to be covered. During the past three years you completed your Masters of Computer Science and now you’re having trouble finding a job. This is a very common problem. But it’s even harder for you because your friends are telling you that you don’t have enough money to find a job. I understand you need money to get proper clothes for interviews, to travel to interviews and to find enough time to search for a job. Plus, you’re not sure how to explain to companies why you haven’t found a job yet. Don’t lose hope. It’s possible to overcome both of these problems. Many employers understand that getting an education is expensive and finding a job is difficult. They don’t expect you to be rich before you find a job. But they do expect you to be hopeful and positive and to present yourself in a professional way. You can tell employers the truth about the reason for the 3-year gap. But don’t complain about not having enough money because you will come across as a complainer. Talk about the positive things you’ve done to overcome the obstacle of money. Also, look for ways to work online or even volunteer so you can build up the experience on your resume until you get a paid job. I wish you the very best. If you focus on how to do the best you can with what you already have, instead of focusing in the problems, you will have a better chance of getting a job. People want to hire people who can solve difficult problems. You’re that person! It is very common for people to fail a few courses at the beginning of their university education. Sometimes people have trouble adjusting when they start their first degree and it takes some time to develop the routines and study habits that allow them to be successful. Many people chose the wrong major and then change to a new major. This is all normal. The secret is to find what you’ve learn from the failure. And to explain how you’re a better person now that you’ve learned that lesson. Talk about how you do things differently now, and how this enables you to be successful. This gap won’t hurt you chances of finding engineering jobs as long as you stay positive when discussing the 2-year gap. Tell them why you’re grateful for that lesson because you are a much better person now. Give them a specific example of how you do things differently now and how this makes you more productive and successful as an engineer. Best of luck with your engineering career! Thanks for you question, Ravi. Sorry, I’m not familiar with NIMCET and what it takes to qualify for MCA (Master of Computer Applications). Here’s how to explain the gap caused while you are trying to qualify to get your MCA. You can tell interviewers how hard you’ve been working hard to qualify for NIMCET. Tell them about your love for writing computer applications. Prove it by writing some computer applications. Post those applications in a code repository like Github or Bitbucket. Also, contribute to some open source code projects and build your reputation with those programmers. Go to Stackoverflow and help other programmers solve problems. Tell them about this work you’ve done and they will know that you’ve been steadily building your skills as a programmer the whole time. All of these things are real work that show your love for programming, that you love solving problems, and that you’re very helpful to other programmers. Eventually you’ll be getting job offers! I recently cleared 4 rounds of interviews and got the offer from a major corporate company in the US. But I came across an issue, with an old job experience in India , 5 years ago which I had to quit within 3 months due to my wedding and personal reasons.I cam here to the US in 2012 and started working in smaller jobs for the last 3 years.. When I applied for this new role, I made an error in judgement and included the experience in India but extended the period for 15 months , to cover the gap. This was brought to light by the background check that was performed after I got my offer.. and I corrected on the end dates and accepted that was a mistake..
Would that really be an issue for the new job , as it actually requires only about 2-3 years of experience and this was much older and could have been avoided totally..
Hi k, thanks so much for this question. Most of us have jobs in our past that didn’t work out because of personal stuff. You’re right. It would’ve been way better to leave that job off of your resume. Or at least put down the correct dates and briefly explain that you had to leave the job after 3 months for personal reasons. Now that the company knows that you stretched the truth, they’re going to be very concerned about your honesty. This is the whole reason they do background checks, to make sure that job candidates are being honest about their background. On the bright side, you’ve proven that you have what this company wants and I’m sure there’s another great job opportunity out there for you. I’m not sure if I understand your question. If you took the SAP course, then tell them about the course. If you didn’t take the course, then you could explain why it wasn’t possible for you to take the course. If possible, talk about anything positive you did during the 6 month gap that would be helpful for the job want. Hi, i would appreciate some good advice on this: It took me 11 years instead of 5 to complete my studies in engineering due to serious personal issues. Both my parents died, i had to work part-time and so on…Now i have started looking for an entry-level engineering job, but i am pretty sure that adding the start and end dates of my coursework doesn’t look so good in my cv. Also, the idea of adding a sentence explaining my situation briefly is not a good option i think because usually in my country CVs are plain and strict. Could i just mention the end date of my studies and then explain the rest during an interview? Thanks in advance! This is a tough question and I’m not familiar with the CV customs in your country. But I think your idea of putting the end date of your studies and explaining in the interview might be a good solution. I really hope you find a good job soon! Unfortunately I’m not qualified to give you advice on getting into Canadian universities or getting a job in Canada as a foreign student. You might want to look into “co-op” education opportunities. That’s where the university or college helps you to find work placements during one semester per year, as part of obtaining your degree. Sometimes these co-op placements lead to job offers. Waterloo university is famous for their co-op programs. They’ve been so successful that many other educational institutions are offering similar co-op programs. Contributing to open source projects and developing a strong reputation through on Github and other code repositories, will definitely improve your chances of getting a job. Employers want to see real example of your code. And they want to see that you work well with other programmers and are respected in your field. I wish you the very best with all of this! completed graduation in BSc computer science in 2010 october. then joined MSc computer science in 2011.
however I couldn’t clear it. Even by 2013, I haven’t cleared it ! So thats a 2 and a half year gap . In 2013 may , I joined a private institute to lean java programming language, part time ! You’re at the beginning of your career. It’s normal to be confused about what to study and what to do for a career. Yes, you can definitely make up for time lost! There’s no easy answer to explain your gap. Employers need proof that you’re a hard worker, who shows up and has the skills. The best way to do that is to finish your education and clear the exams. And try to find an internship or some way to do real work to prove that you have the skills and the work ethic. It’s not too late. You’re still at the beginning of what could be a great career. Thank you Laura for taking the time to answer my question . Much appreciated. Hi, I’m a newcomer in Canada and I got a job out of my field to improve my English and sustain my family. I wish I could go back to IT field as Software Developer which I had been working for 10 years before coming to Canada. I’ve been working as a Millwright for 16 month’s. Follow that with a Technical Skills section. Include anything you’ve done to update your skills and stay current with your software development skills. Then list your jobs chronologically, with a brief section for the Millwright job followed by the development jobs. mam as i was working as hr recruiter for 1 year.after 1 year i have to left my job as my parents are suggesting me to do prearation for government job .and now 2 year is going to complete i did not get any government job now again i want to start my carrier in pvt sector in HR Profile. 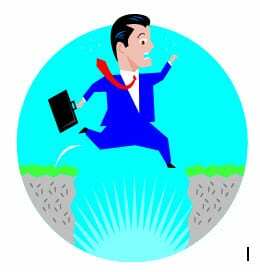 But i am very much worry that how to answer about gap that it does not create negative impact on interviewer. The two years you spent pursuing a government job will be valuable to you as an HR recruiter. 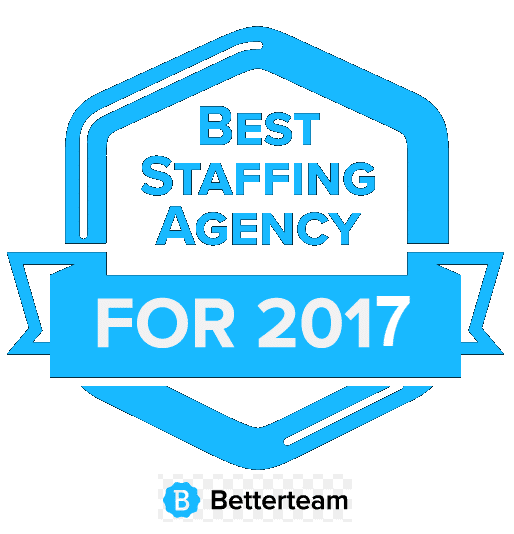 It’s very difficult to find a government job and you gained lots of experience during the two years that will help you as an HR recruiter. 1. 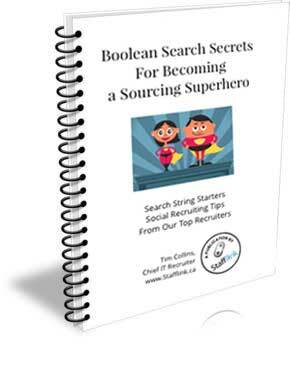 Write down all of the things you learned in the 2 year gap that will make you a better hr recruiter. 3. List the Government job training on your resume with bullet points about the key things you learned that are relevant to hr recruiting. hi, i compled my msc in chemistry in 2011.and after that i joint a company and work over their 2.4 year(2011 to 2013) and then change the field (pharma) and worked 8 month (up to feb 2014). after that left the job for higher study preparation (phd). but i didn’t clear exame. now iam loking job in pharma company. but i waried about gap of one year. and how to explain the gap( feb 2014 to feb 2015).please advice.which i explain in interview. Employers will appreciate that you’ve put so much work into upgrading your skills. Thanks. Nice article. It encouraged me to go for a job hunt again after 1 and a half years. Self employment didn’t work for me. Thanks Rahim! I know you learned a lot from self-employment that will make you a better employee. Even if it didn’t work out, be proud that you had the courage to try. You worked hard, learned a lot and now you bring all of that to the company that hires you. Hi Amit, Looks like you were very busy during that 5 year gap. You could list all of those jobs on your resume. Then, if the question of the gap comes up in a job interview, you can mention that you were also taking care of your child and parents during the off times. Hi Ritz, I don’t know what a IBPS clerk is and I’m not sure why you left the lecturing off of your resume. My best advice is to be honest, be positive (take responsibility) and talk about anything you did during the gap that will make you a good choice for the job. Best of luck with your interview! I have 3 years gap after engineering. And now i have been called for interview. but i know they gonna ask me about this big gap. so i prepared myself somehow. plz let me know it’ll be enough or need improvement. me-Actually i was working in one private organisation as s/w developer. I worked there for 7 months(aug-april).I left my job bcz even after working 10-12 hrs a day. its getting difficult for me to give enough time to my parents as their health is not in good condition. Now i am doing a part time job in net cafe. I saw there is big career opportunities and no. of increasing jobs in baking sector.so i decided in to join bank. Please help me, What is the effective answer can i give to interviewer for this gap…. Thanks for asking this difficult question! You can’t predict the future. All you can do is make the best choices you can based on the information that you have at the time. Which is exactly what you did. So you already have a very good explanation for the gap in your employment. But there’s one very important thing to keep in mind when you’re talking about the circumstances that caused you to become unemployed for the past 3 months. Try not to speak negatively about your past employers. I know this is very difficult, but it’s the only way. Because attitude is everything and employers need people who will stay positive in difficult situations. So when you’re talking about the unfortunate circumstances that landed you in this gap, make sure to talk about the things you did to stay positive and do a good job in spite of the slump in the market. Also, you need to explain why being asked to transfer after one month was impossible for you for personal reasons. Also, it would be great if you could take some online free courses (try skilledup.com) to keep your skills fresh and prove your motivation while you’re job hunting. Hope you find a job soon!!! Hi Nitin, I don’t understand your question so unfortunately I can’t help. Sorry! if it possible write 5 year …? Hi Amir, You could say 4.5 years experience. If you’re applying to a job that requires 5 years experience than 4 years 8 months is close enough for most employers. Also, you can explain that you have 4 years and 8 months experience in your cover letter. 1 After completed my education i joined some company. 3 I supported to my father business. 4 But i don’t have additional growth in business. 5 So,i decided,get back to job profession. Please help me,What is the effective answer can i give to interviewer about 5 year gap in job. Thanks for asking this question! I’m sure that many people are in a similar situation. You have been working during the 5 year gap, just not in the field that you went to school for. Here’s what I recommend. 2. To prove your commitment to working in your field, you could offer to volunteer or do an intership. This would help you get some real experience on your resume. 3. Start networking. Participate in LinkedIn groups that are related to your field. Find special interest groups related to your expertise and start answering questions. The key is for you to prove that you know how to do the job and that you are up-to-date with the current trends, and to make connections with people working in your field. Unfortunately you have to be willing to work for less money, or maybe even volunteer your skills temorarily, while you prove yourself. The article found to be very useful for me. As my situation of the gap is quite different, I’m bit confused how to prepare the resume plus cover letter and perform during the interview. 1. Started with a IT Support Engineer post for about 1 and half years. 2. Joined another firm as Software Engineer Trainee and got promoted to Senior Software Engineer while resigning from this firm where I worked for 3 years. 3. Then myself with other 4 partners started a firm where I got into an entrepreneurship for about one and half years. Here my position was Technical Program Manager. Unfortunately the firm has to be closed down. 4. I met with an accident and I was totally bedridden for around 3 months and it took a one year or so to recover. 5. During this period, that is, after 3 months of complete bedridden I got a job through a reference which was a work at home kind of job type where I worked for around 8 months as IT Consultant. Please guide and advise me how to proceed further to get back into a permanent job type. Sorry to hear about your accident. Overall the work you have been involved shows an entrepreneurial spirit that many companies are looking for right now. It’s best to list your jobs chronologically. When you get to the section where you are talking about the company that you started up with 4 partners, add a bullet point that explains that you had to take a break to recover from an accident for 3 months – give the dates. Then add the section with your Senior Software Engineer job. Make sure to mention that you were promoted after being a trainee. Also, add a section before you list your jobs that explains who you are as a professional and your strongest skills. If possible, try to keep the focus on who you are professionally. I wish you the very best with finding your next job! Thank you so much for your time and giving a reply which helped me a lot to build my resume. But I’m quite having an odd feeling whether the resume is written according to your guidance. It would be really kind and helpful for me if you could go through my resume and let me know whether I’ve missed out or need to add/modify anything. As you know I had a different case here, is it fine applying with the same resume?. I’m also having a great confusion that in which area or job position should I apply to get into a permanent job type in this difficult and complicated situation of mine. Hope I’ve not gone too far of any disturbances for you. I found your article about explaining the gaps in your resume very information. I’ve been out of work for about five and a half years now due to an illness that was triggered at my last place of employment. I was bedridden for almost two years while doctor after doctor tried to figure out what made me so ill. It took almost a year to recover and another year to get use to the environmental restrictions I was left with due to my weakened immune system. I have no idea how to explain my gap without raising concerns. I’m very sorry to hear about the health issues that took you away from your work. It’s wonderful that you’re ready to get back to work after such a long and extremely difficult experience. I think it’s best for you to see this as a fresh start. So much has changed in five years. It would be helpful for you to get some training to update your skills, prove your commitment and raise your confidence. This is the perfect time to consider a new career. You don’t need to limit yourself to the kind of work you did in the past. One more thing, when you’re talking to potential employers about your health issues, try to keep it short. Only tell them as much information as they need to understand about the accommodations you require, such as wearing a mask. The rest is personal. I wish you the very best with launching a wonderful new career! I like the idea of adding a quick explanation for a gap. That being said, I am not convinced that a gap should signify a red flag … even an extended one. 20 years ago, when employees stayed at the same company till retirement (my dad or mom are typical examples),felt a loyalty to a company and companies felt a loyalty back it made sense. Today, there is no loyalty in either direction. A company facing financial issues or ‘seeing a bad future’ will cut employees – even the loyal ones. If it is a large company (thousands of employees) the decision will often be made by a spreadsheets with a cut line (i have seen this – even though it was not presented that way in public). Employees will suddenly leave to a competitor or different company when things don’t go their way. As such, when I see a gap on a resume. I will always ask about it. I always ask those questions in person, and closely watch for any inconsistencies in what is said, how it is said, body language etc. If something does not line up, I will probe and dig deeper. But as a rule, I don’t hold gaps in a resume against anyone. Especially in today’s world of no loyalty, I give the employee the benefit of the doubt on this.